DIY Kids Jewelry—Waaay Better than Claire’s! My daughter and her friends love jewelry but I do not love the tacky junk marketed to their age group. 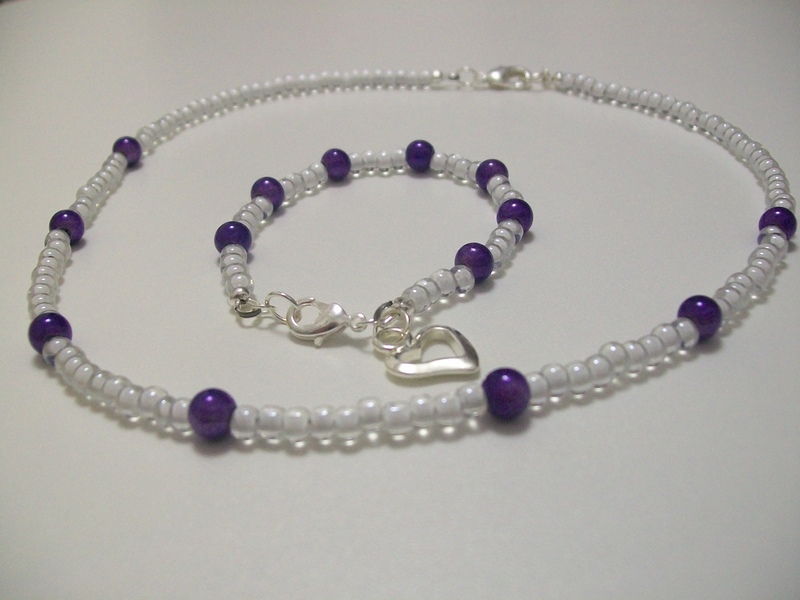 With a bit of time and patience, I’ve found it’s easy to make necklaces and bracelets for girls and these make perfect, unique gifts. Over the past year (and with those 40% off coupons), I collected the tools and findings needed for these kinds of projects, so I have two pairs of flat nose pliers, wire cutters, and a crimp tool. 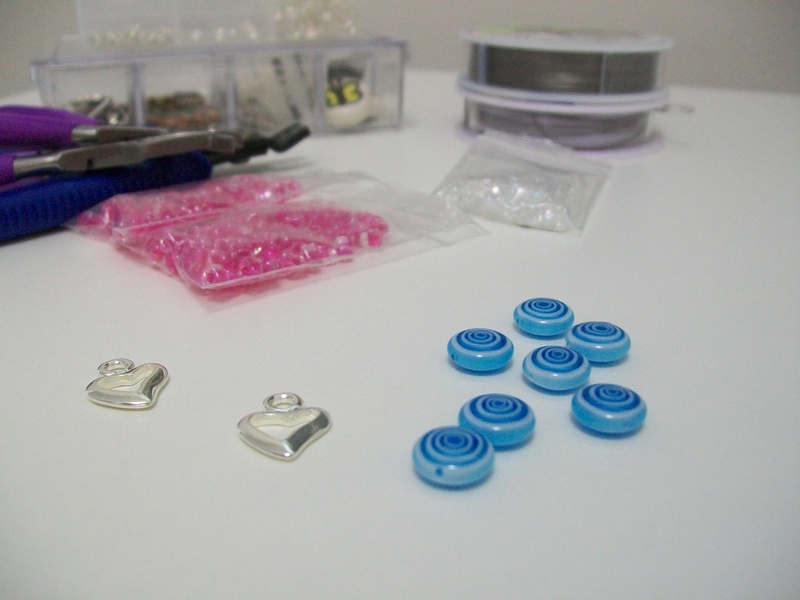 I also have assorted charms and wire. 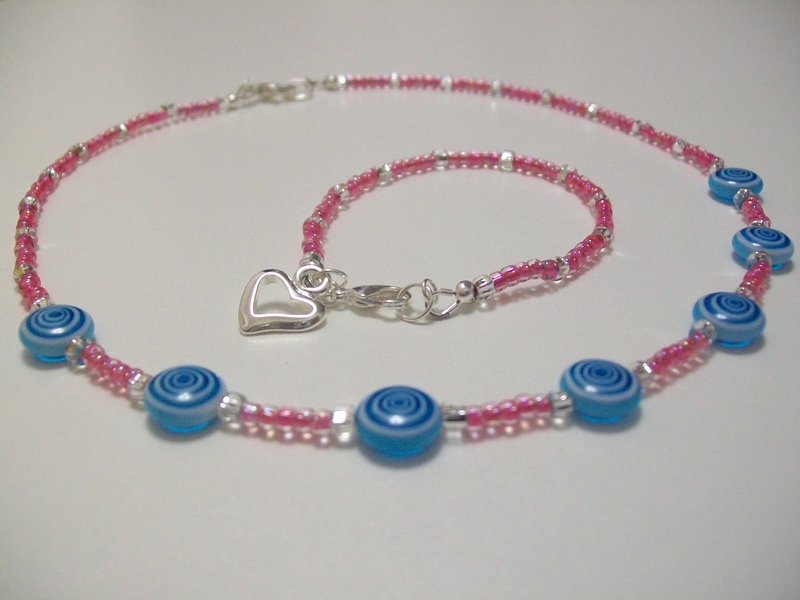 Then she created a pattern for a necklace and a bracelet incorporating some pink and silver seed beads that we had left over from another necklace. I strung the beads and attached the findings, including a wire guard, crimp tube and crimp cover. I haven’t mastered the art of photographing the process, so all I can share are before and after pics. I love this because everyone benefits—my daughter uses her creativity, she and I do a fun project together, I spend less than I would at a jewelry store in the mall, and the birthday girl gets a one-of-a-kind gift. Since I had all the supplies out, we went ahead and made another gift for an upcoming birthday. 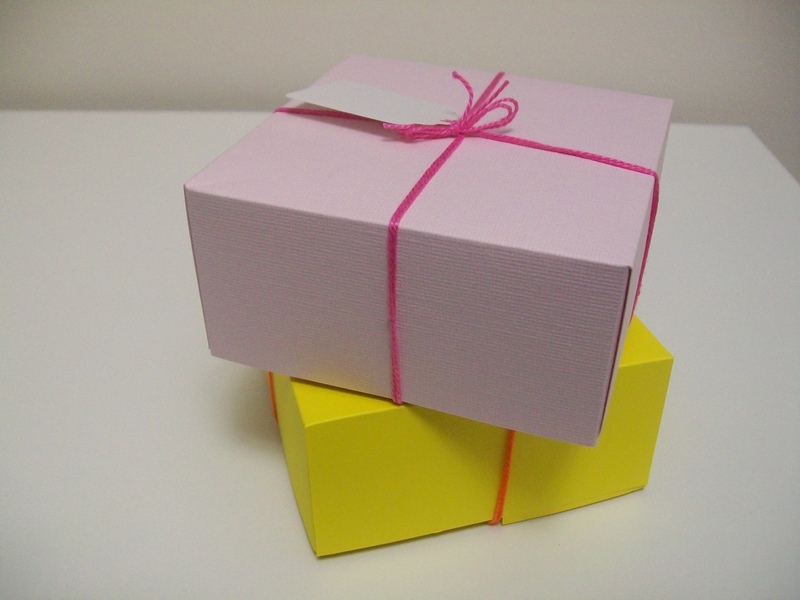 And I even made the gift boxes. Comments Off on DIY Kids Jewelry—Waaay Better than Claire’s!